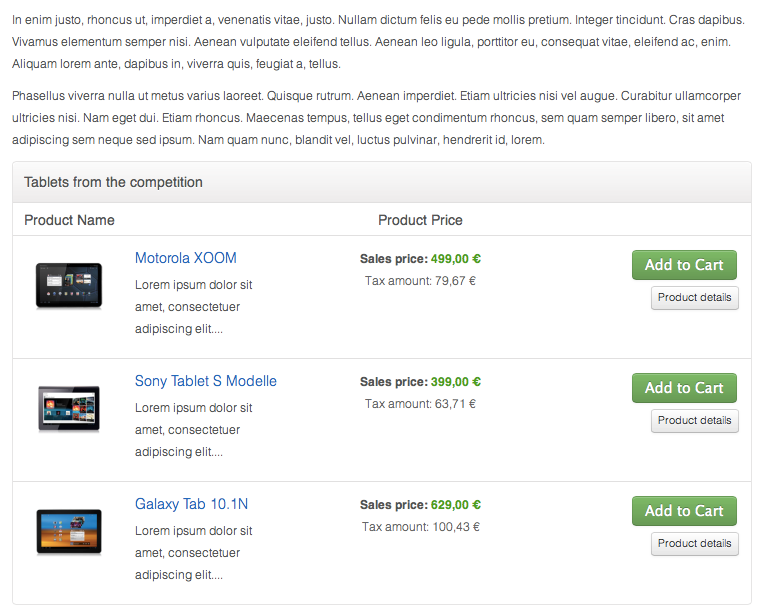 This VirtueMart 2 plugin allows you to display products in articles. 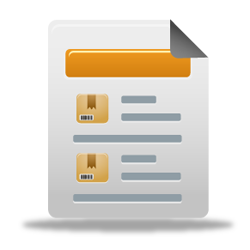 This may be the Joomla articles, K2 articles or in posts of other components. Each element such as product name, product image, price, order button, etc. can be displayed for each call of the plugin or hidden. A documentation that explains all possible attributes most exactly. 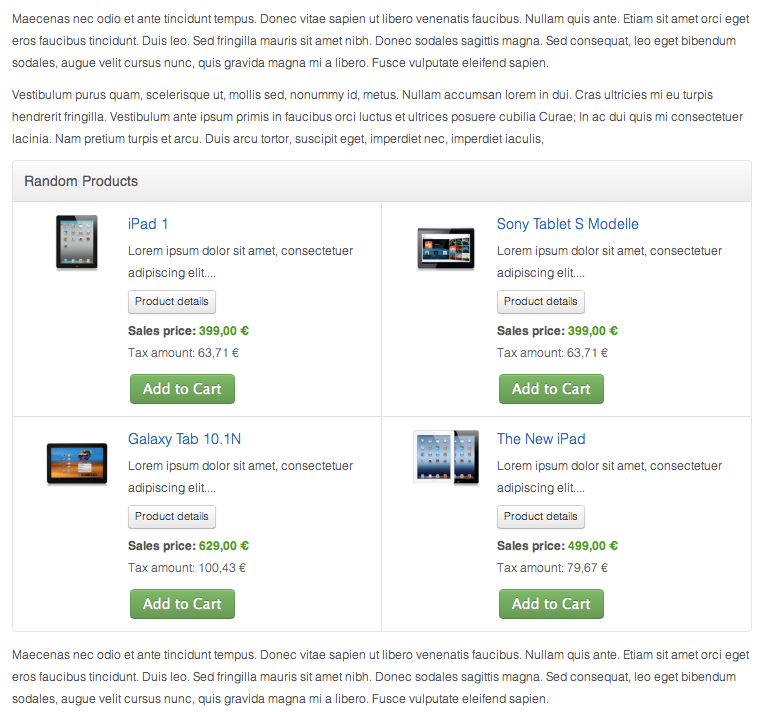 The plugin offers 3 layout options. The plugin can be called generally wherever you can enter content in an editor, such as when creating a Joomla article. Please open a Joomla article of your choice. During this call, the products are loaded with ID 1.2 and 3. In addition, a heading is displayed. 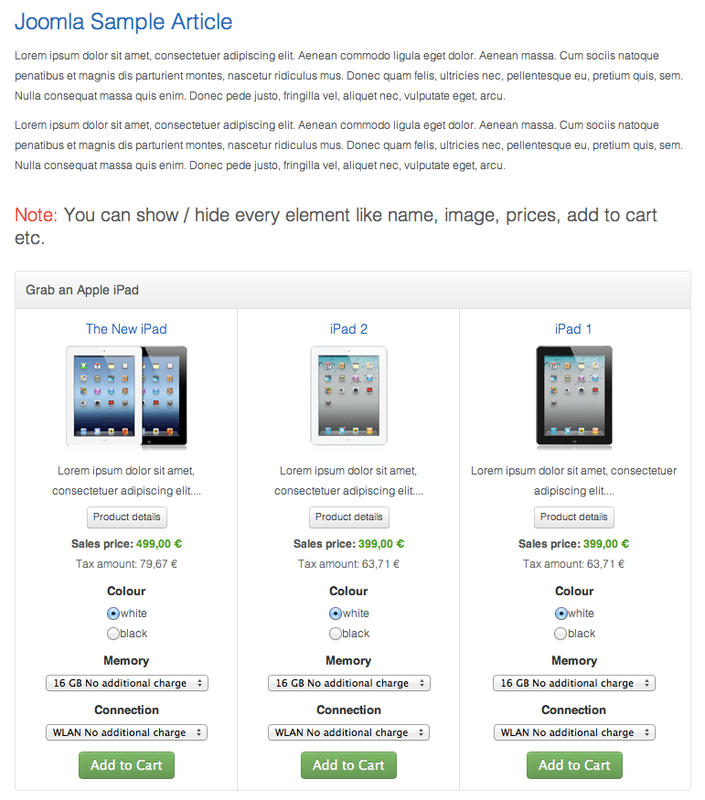 In this example, "New Products". As mentioned in section 2 we have just learned about the default settings. Now there is the opportunity to override certain default settings for each call. Let's say that we have turned off the default settings to view the product description and the Order button, and want to show these two items for a single case now. Now we would see the products with the ID 1,2 and 3 with a short description of the product and an order button on our page. There are many other arguments that we can use to override the default settings. Is a particular argument has not been specified in the call, the general setting is used that was made in the plugin settings.